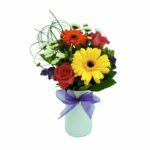 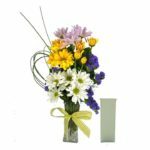 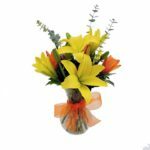 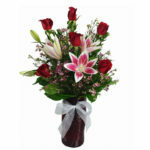 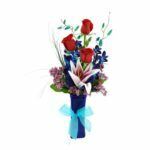 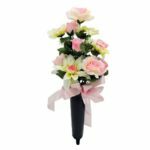 A beautiful sympathy arrangement featuring flowers in many shades of pink. 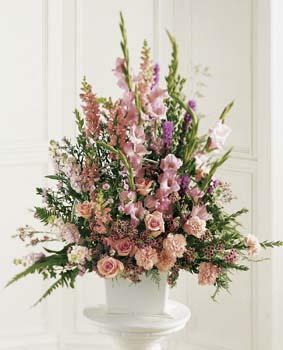 The handled basket holds pink gladiolus, pink roses, pink snapdragons, pink carnations and more. 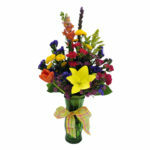 Appropriate to send to a home or to a funeral.